Aqtab Syed Abdul Latif Qadri Kazmi known as Hazrat Bari Imam, Shah -e- wilayat of Federal Capital of Pakistan(Islamabad) and Rawalpindi. Hazrat Bari Imam was married but don't have any childern, people claimed to be his family are from the brother of Hazrat Bari Imam. This area was jungle when Hazrat Bari Imam stay here, area was famous due to robbers, when Hazrat came here he change the lives of this area and now this area is known as Noor Pur Shahan. 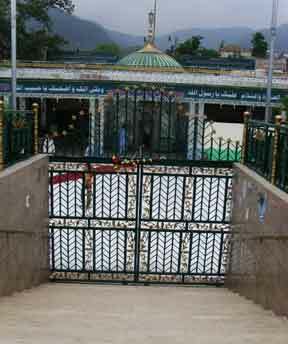 Its been more than 300 years when Hazrat Bari Imam Came here. 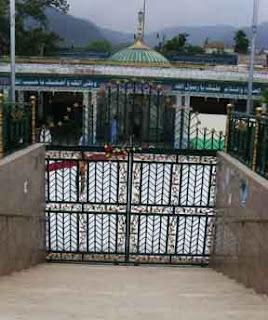 All sufis of indo pak when came to Rawalpindi, Islamabad do come here, Urs of Hazrat Bari Imam Qadri held every year by April or May (as decided by Govt of Pakistan) for 5 years. People from all over Pakistan came here to attend Urs. This place is on the back of the President House and Prime Minister Office. If you see any development here, that will be done by the people not by the Govt, Officials just have plan to build a new complex over here but could not make it happen.